Sleep machines and noise makers are nothing new from audio apps. Most are unimpressive, with only a few basic sound selections to pass for an actual sound machine. Maybe it’s because of this that makes this next app so impressive. Or maybe it’s because it just is that impressive. Easily create your own evolving ambiance for relaxation, meditation or yoga. TaoMix is different by its intuitive interface, its neat and minimalist design and the unique possibility for your ambiance to evolve randomly and at your own speed: let yourself be carried away by your own ambiance which can be different every time! Whether you are looking for the perfect ambiance for your relaxation and meditation sessions, to practice yoga, enhance your concentration or simply because you love the sound of nature, TaoMix is made for you. – Easily create your own unique and relaxing ambiance. – Your ambiances can evolve randomly in time, which allows them to be different every time. – Intuitive and easy to use interface. – Neat and minimalist design. – High quality sounds to mix. – Use the timer to get to sleep in your self-evolving ambiance. – Save and retrieve your creations: very simple to use before you go to sleep or when you begin your meditation or relaxation session! – Simultaneously use your device while your relaxing ambiance plays in the background: you can listen to your own ambiance or use another music application at the same time! – More high quality sounds to come in the next updates, send your suggestions! – Perfect for your relaxation and meditation sessions or yoga practices! – Get access to the first sound of each category, this allows a great number of combinations. – Mix up to 3 relaxing sounds together. – Enjoy all sounds, in all categories. – Automatically unlocks all sounds that will be added in the future updates. 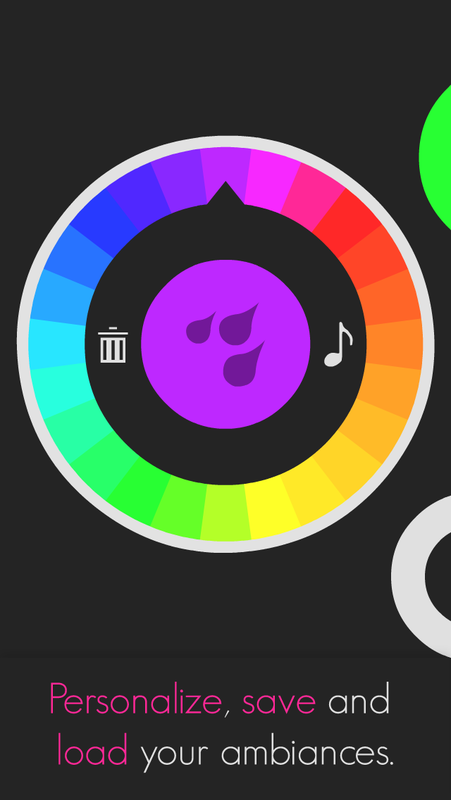 – Build more satisfying ambiances: mix up to 10 relaxing sounds together. 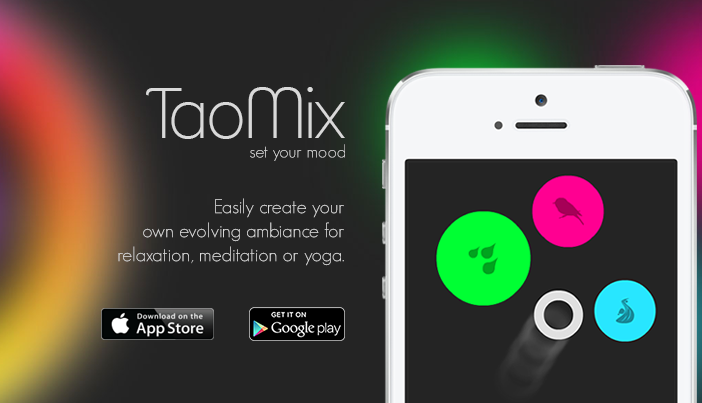 TaoMix’s simple, playful and intuitive interface will guide you during the creation of your first ambiance for relaxation. TaoMix has plenty of features going for it. My personal favorite is the floating cursor function that adds variables to your mix as it travels closer and farther from each sound selection. I also like that there is a timer so you listen without worrying about leaving your phone on if you fall asleep. The sounds are quality and there is a good selection to choose from. You can mix up to three sounds in the initial version or upgrade to a full version for only $1.99 via in-app purchase. I am thoroughly loving this app. Whether you use it for relaxing, sleeping or meditation, this app could change your life, or at least add some great ambiance. TaoMix is currently free and available for iPhone and iPad.